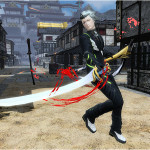 Prepare to board the A.I.S again when Magatsu’s second phase appears! The plot thickens further with a new story chapter on planet Lillipa. Annihilator’s Apparition will become a pre-scheduled Emergency Quest. The “Annihilator’s Purification” EQ will occur after Annihilator’s Apparition has ended. Annihilator’s Apparition must be cleared in order to take on the Purification EQ. Added more products to the Pyroxene Stone Shop. Added more actions to the A.I.S. appearing in the “Annihilator’s Purification” EQ. Adjusted the Lock-On Range for the A.I.S. as well. This adjustment does not apply to Mining Base Despair. Increased the RANGED resistances on certain areas of Magatsu. Increased ICE resistances on Magatsu. Reduced Magatsu’s HP on Extra Hard. Boosted ★10 and ★11 drop rates on Extra Hard. Due to the above changes, an All-Skill Tree Reset Pass will be distributed. This pass can be picked up from the Visiphone by clicking on the [Campaign Item] > [Character] menus. Bronze Trophies for 11th ~ 50th Place. Silver Trophies for 2nd ~ 10th Place. Gold Trophies for 1st Place. Plus a 1000 FUN ticket for all the winners! An All Skill Tree Reset Pass. Color Change Passes for those who qualify. Distributed voice tickets for those who qualified but didn’t receive it in the last update. Changed block names on each ship. 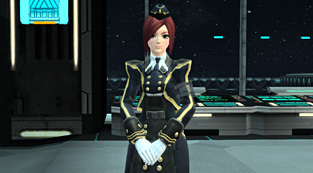 The host of Phantasy Star Online 2es, Seraphy, will appear in the lobby for a limited time. Clearing Seraphy’s client orders will reward players with [Chip Fragments]. These come in three variations and can be traded in at her exchange shop for various prizes. 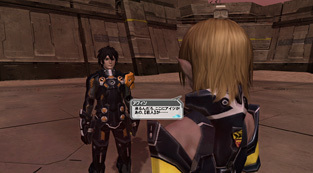 Players can also receive chip fragments from PSO2es by playing a special quest. 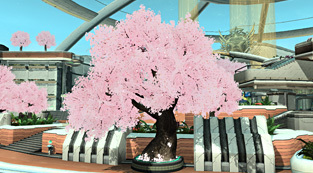 These fragments can be traded in at the PSO2es Recycle Shop for various special chips. Link your character with PSO2es. ※One Gold Chip Fragment reward per account. The PSO2 staff is holding a Twitter campaign in commemoration of a new TV Commercial that began airing March 21st! 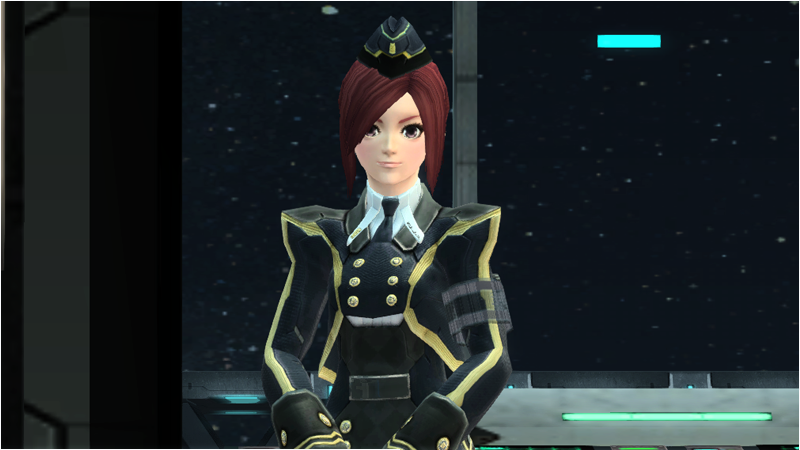 Players can unlock rewards by retweeting 【リツイートde報酬ゲット！】 from the @sega_pso2 account. Rewards are unlocked depending on the total number retweets that contain 【リツイートde報酬ゲット！】 from the official account. Players who link their PSO2 and PSO2es accounts for the first time will earn prizes in both games! We are getting a skill tree rest pass this maintenance right? yea, we are getting the skill tree rest pass. For the adjustments made to Magatsu as detailed in a previous post. So long boost week, you made grinding bearable, and are the christmas of March. is that the reason why i was kicked out of the game? skill tree rest pass will be sent by Visiphone to all of us right? yes, it will be sent to your visphone. argh, the scheduling is as I feared. all these magatsu sessions scheduled and only three occur during hours I’m not asleep, and one of them is pushing it. sega’s gotten bad about scheduling eqs during jp morning hours, and with new!magatsu being scheduled-only… what a pain. also, I really wish that google calender thing could be made to NOT insistently load past events when one tries to scroll it back to the top of the currently displayed stuff. it’s super annoying trying to do so and getting shown events from two months ago. did the A.I.S always have the homing missiles and the sword dash when you hold shift? Yes, it always had those. kinda disappointed with its easiness. and I wish they make “AIS in space” quest in the future, using a combat system like in SDGO space maps. Apparently Magatsu is hellbent for leather on ousting Loser from his position as the Lord of the Blings. That new Magatsu fight is very fun and challenging. The time limit is very short, just barely 7 minutes to kill all 3 form of Magatsu and the time is wasted a little during form transitions. The AIS receives some nice upgrades to fight this big guy, too, especially weak bullet, spam-able boosted jump and group heal. The rest are the same as before.We all know AIS basics from Mining base defense: Despair, right? It’s not like I’m writing the guide here but… I just want to say something at least.. Successfully killing all 3 Magatsu can guarantee higher chance of 10 and 11 stars equipment to drop. Think many Japanese already succeed in killing all of them, us, English players might as well. The first 2 form, Shigan and Higan are the same as during the first phase we fight: Shironia Defense, but Higan tends to have more attack patterns and health points than Shigan. Just blow Shigan with Photon particle canons when his belly face is open as it is easier to aim whether Z-aim or manual aim. For Higan, just kill him normally but fast and tag weak bullet whenever possible. Jump to avoid ground shockwave, be mobile at all time and group heal when needed. 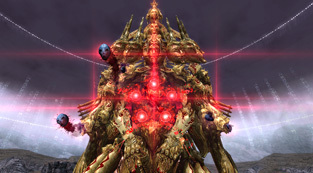 The last form, Sai, the golden Magatsu has impenetrable barrier that requires players to destroy both knee caps and damage both his arms and face to let the platform open which will disable the barrier, allowing the belly area to be attacked. Players will need to kill the first two form quickly so they can have more time to deal with the last form, take at least 3 minutes would be fine for the two. (including around 20 seconds of form transitions). If MPA is well-organized (team members or proxy chat) this should be easier than public MPA. That’s all I have to say. If you already know this, I apologize for writing too long.